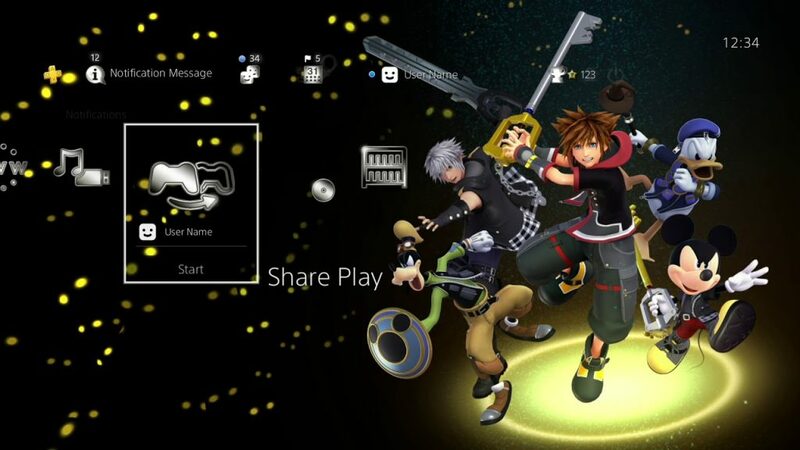 Kingdom Hearts 3 Impossible Odds is a dynamic theme for the Playstation 4. It’s available to anyone who preordered the game on that console. Some players have already gotten their hands on it, while others can’t seem to find it. There’s some confusion surrounding the theme, as nobody’s sure when or how they’re supposed to get it. We’ve investigated the issue and will share our findings with you after the break. As you can see in the image above, the main picture of the theme has Sora wielding a keyblade, along with Goody, Donald, Micky and some other guy. Since it’s dynamic, there will be other pictures in there as well. It’s pretty nice, and it should be available to anyone who has preordered the game, no matter the edition. After a bit of research, we’ve come to the conclusion that it’s either a regional thing or an error on Sony’s part. All the players who’ve obtained the theme already seem to be from the US – players from other continents are either getting the short end of the stick here, or it’s a simple clerical error (which would mean nobody was supposed to get it yet). It should be available to all once the game is released, which is going to be on January 29th. There’s one thing you could do, although it isn’t guaranteed to help. Try to find the theme on the Playstation store, through the game’s page. Either that, or look for it as a DLC in your library. There’s a chance you might be able to download it manually, which would solve the problem. If it doesn’t, you have no recourse but to wait for the release day to come. It’s just a week away, so it shouldn’t be too hard.